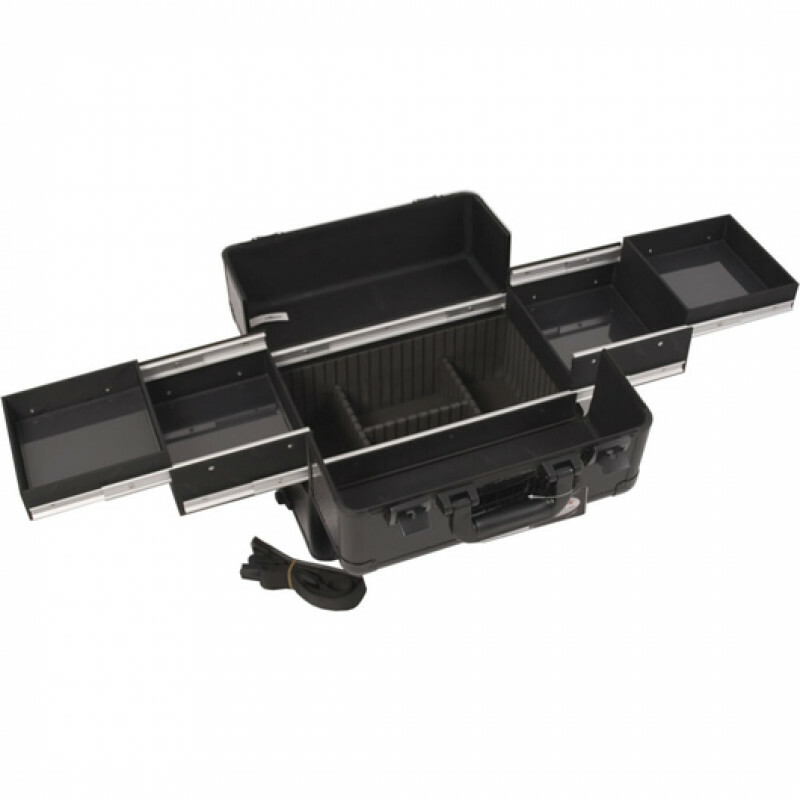 The E3301 Sunrise Black Crocodile Pro Easy-Slide Makeup Case is spacious with 4 extendable trays. 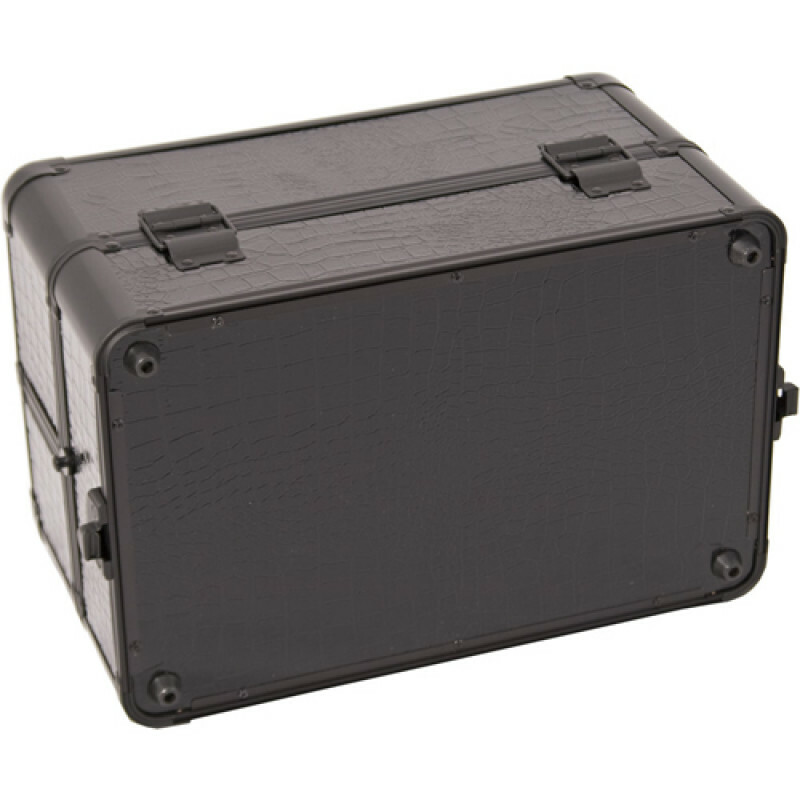 Texturized croc finish & steel corners protects cosmetic equipment. 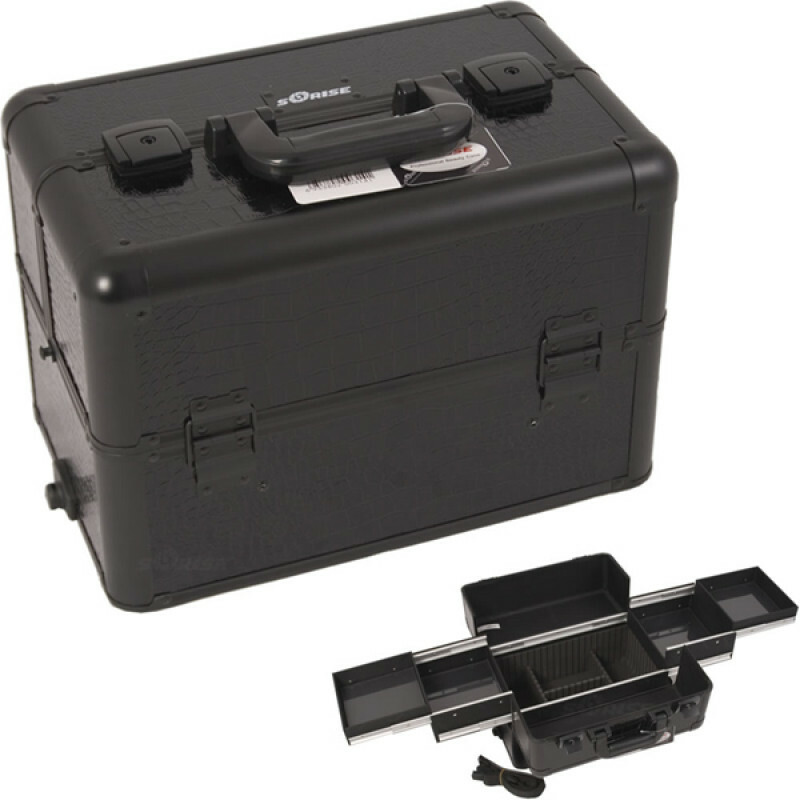 This case can be attached to the top of any E series rolling case by Sunrise. 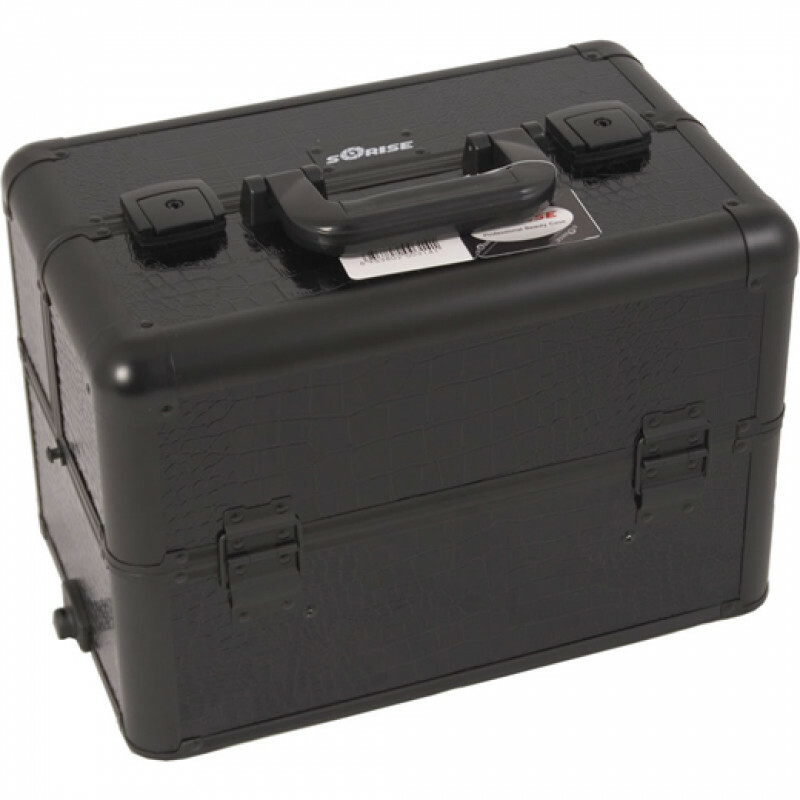 Shoulder strap and lock & keys included.